Join in on the nation’s largest event to raise awareness and funds for Alzheimer’s care, support, and research. The Alzheimer’s Association Walk to End Alzheimer’s unites the entire community from family, friends, and co-workers to help fight against Alzheimer’s. This event is held annually in more than 600 communities nationwide! 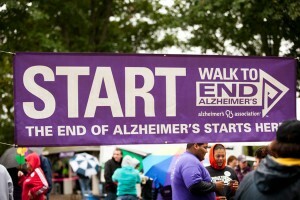 The Alzheimer’s Association Walk to End Alzheimer’s is a noncompetitive walk and is an inspiring event for all ages. At the event, you can learn about this devastating disease! You can also have unique opportunities to get involved with the cause. The mission is to eliminate the Alzheimer’s disease, provide and enhance care and support for all affected, and to reduce the risk of dementia through the promotion of brain health. Help end Alzheimer’s disease, the nation’s sixth-leading cause of death and create a world without it!